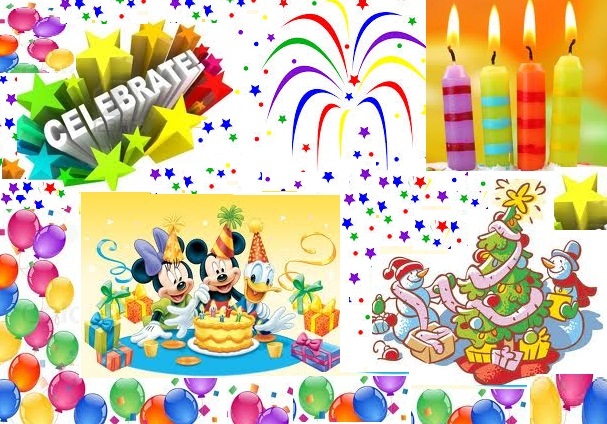 “CELEBRATION” – The word itself is full of enthusiasm, joy & happiness, it makes the environment so lively & cherishable, and everyone seems to be charged up with new energy. There are so many reasons to celebrate – birthdays, anniversaries, festivals, promotions, new vehicle, home, friends/family get together and the list goes on. Opinions differ from person to person. First approach appears more practical & the second one more realistic. Actually, the debating issue shall not be “Celebration” or “No Celebration”? Instead it should be – How to celebrate? There is no doubt about it that some special events of our life are worth memorizing & celebrating. But, celebrations are not just about fancy parties & precious gifts. They can be as simple as visiting your favorite park, eating your favorite sweets, visiting temple, & gifting a flower. The concept of celebrating is just to keep you away of your little worries, to forgot the negativities around you & to remind you of the happy times that fills you up with new hope, energy & positivity. JUST THINK OF A WAY OF CELEBRATION.. !! Best Wishes for a Happy, Joyful Life ahead..!! This entry was posted in Happiness and tagged Anniversary, birthday, Celebrations, family, friends, Gifts, Joy, Life, opinion, Random, Random, Thoughts by Akanksha. Bookmark the permalink. it seems you are very much inspired by OSHO or inn other words OSHO thinks like you. Thank you so much for considering me worthy of this. And when it is presented by great & inspiring bloggers like you, it becomes more precious too. It’s so nice to meet you here. Take care… May GOD bless you..Wish you good health..!! So true — celebrating is not just in the event, but a way of life! loved the vibes of the post!